Google recently released information that it will soon start blocking adverts relating to cryptocurrencies and ICOs. That’s not all; Google also plans to block adverts related to certain types of gambling and Forex. The point of these bans by Google is to protect its ad ecosystem from new threats and scams. 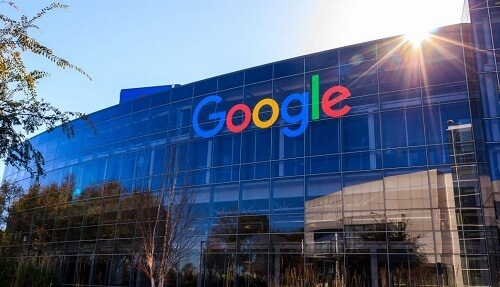 Google has confirmed that the cryptocurrency ban on adverts will also extend to banning the exchanges, as well as the wallets. As for the gambling betting ban, this will focus on skin betting and speculative financial products. Skin betting, if you’re not familiar, is related to rare items players receive in certain video games, normally special paint jobs for weapons. These can then be transferred to third-party websites and used for betting. This announcement follows a similar plan by Facebook, announced in January. Following the announcement, the value of Bitcoin dropped to a five-week low, AU$9853. However, it did improve shortly afterwards. The advertising ban has hurt Bitcoin’s reputation, as it is supposed to be a respectable, mainstream way to invest. During the course of 2017, the search engine apparently blocked as many as 3.2 billion adverts. These were all blocked for breaching the company’s terms and conditions. Some of the blocked adverts included ads for unregulated online casinos, payday loan companies, and phishing scams. There were also 17 million ads blocked in 2016 related to illegal online gambling. The company that owns Google, Alphabet, relies on advertising for around 85% of the firm’s revenue. It is expected to generate around AU$50 billion from advertising, which is nearly half of the entire online advertising market. Facebook generates half as much money from online adverts. It certainly seems like you don’t want to get your adverts banned from Google.